VANCOUVER — Tucked away in the back of a large construction yard in northern Vancouver there runs a smooth and efficient operation that turns everyday homes into log cabin look-alikes.Modulog Inc. has always been a family owned and operated company. 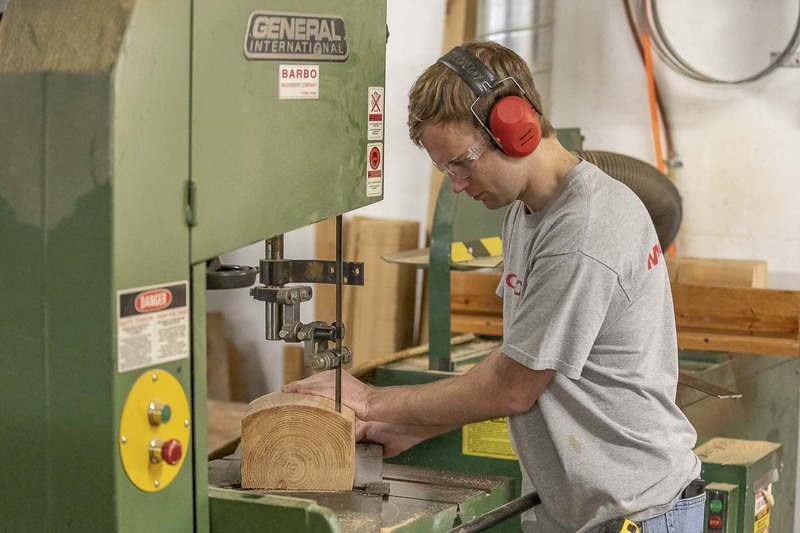 For the past 50 years, they have designed and fabricated cedar log siding, skillfully installed to give the appearance of actually being constructed from logs. McConeghy worked as a finish carpenter and general contractor for 30 years, prior to becoming the general manager of Modulog. He also installed more than 40 Modulog sets in the area, while still working as a contractor. Modulog was started by Ron Berge, when he and his son Steve began designing ways to side a house so it would appear like a log home. He finished his first package in 1968. Shortly thereafter, he acquired patents to many of the components used to design the siding and signature log ends that stuck out around each corner. The company grew, and Berge began marketing his new product. Modulog functioned out of Portland for close to 35 years, with manufacturing facilities in the city. 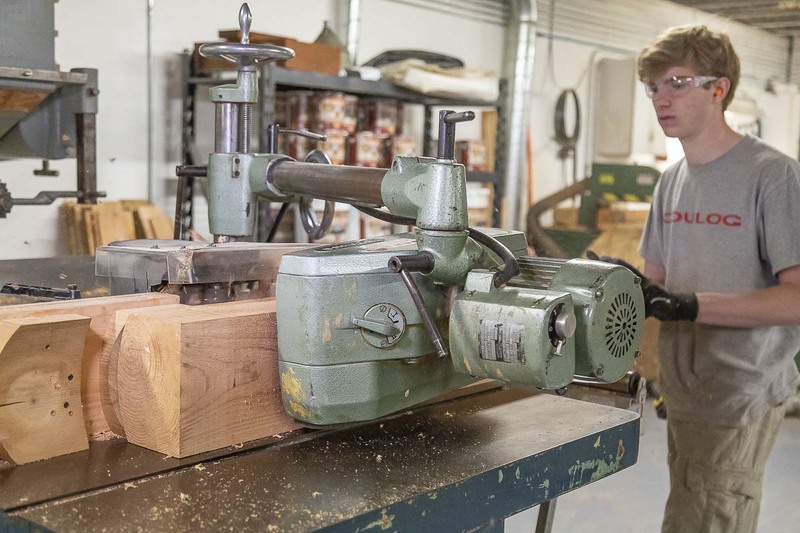 McConeghy began installing the product about five years ago, and just two years ago, was part of the process when MJ Hughes Construction purchased Modulog from Berge. Mike Hughes, the president of MJ Hughes Construction, heads the company and approved the purchase of Modulog himself, as well as hired McConeghy to run the renewed operation. MJ Hughes Construction began in 1996, and has expanded to handle many of the larger rural, commercial infrastructure projects, such as roads, bridges and dams, put forth by the Washington State Department of Transportation. Hughes also said that Modulog was an attractive investment for him due to its non-reliance on seasonal work. When the June through October portion of the year passes, any construction near waterways is restricted due to fish populations. Modulog can operate year-round with no restrictions. 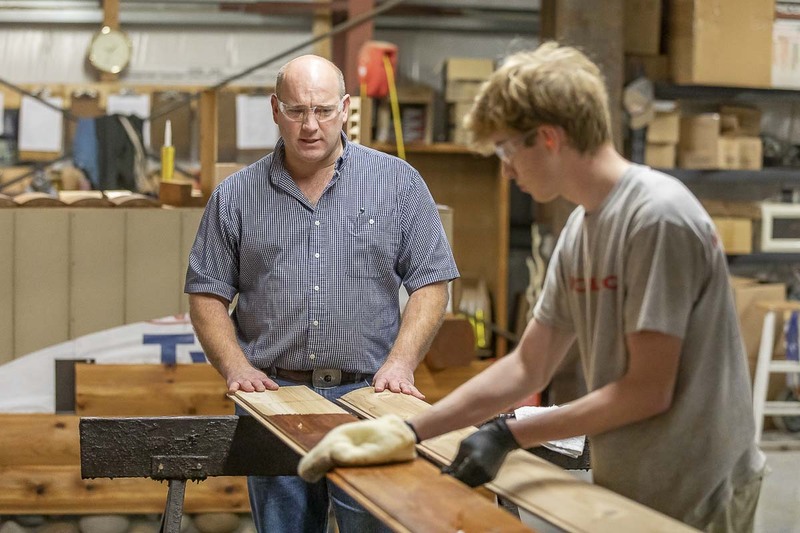 With the business now moved across the river, just off NE 119th Street in Vancouver as part of the MJ Hughes Construction facility, McConeghy and his two sons, manufacture all the siding, largely by hand. 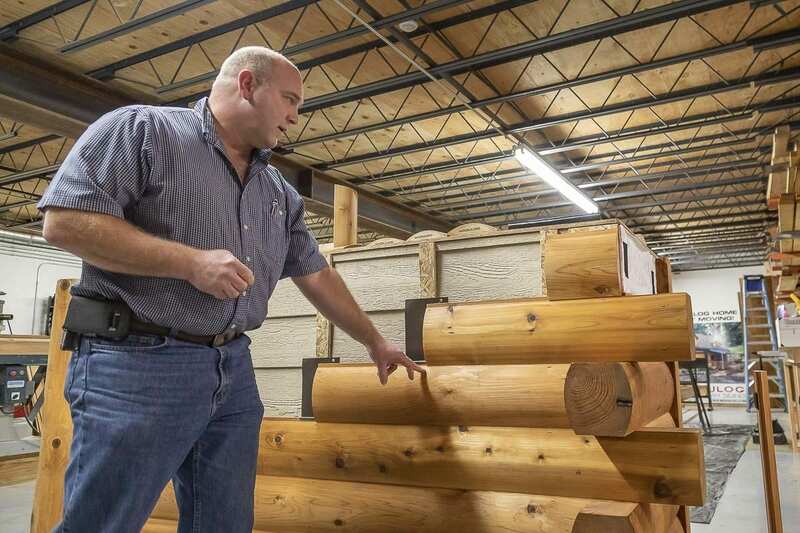 All Modulog lumber is sourced from either Canada or Northern Idaho, and consists entirely of Inland Western Red Cedar which is kiln dried prior to profiling. Cedar is chosen for its naturally bug-repellant complexion, as well as it’s durability over time, McConeghy said. Modulog produces packages custom fit to the home, and then ships or delivers them to the home itself. Working with new contractors and creating relations all over the world is something McConeghy says he will continue to do.